We respect and share The General Body’s efforts to have their grievances heard by the SU Administration. 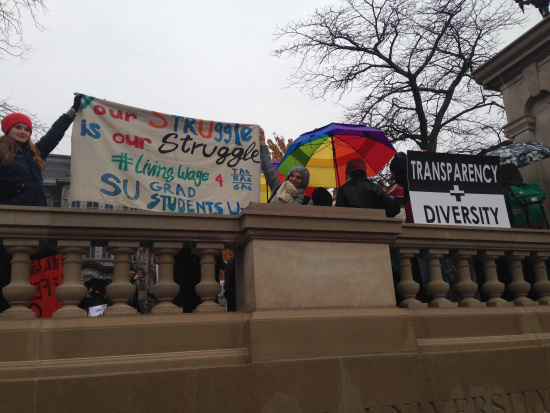 Shared Governance via greater representation is the right of the entire Syracuse University community. Legal representation is also the right of each individual member of the SU community and Adjuncts United urges the University to allow student activists access to legal advising in light of the charges and sanctions that are being served on them.